Although Argentina now accounts for most Malbec production globally, the variety originated in France. It is still grown in the South West appellation of Cahors and also used for blending in Bordeaux but due to its susceptibility to cold weather and pests, Malbec never ‘made it big’ in France. First planted in Argentina In the 1860’s by a French botanist, Malbec has recently rocketed into a new stratosphere of grape-y stardom, gaining popularity as a trendier alternative to Cabernet and Shiraz. The higher altitude (and therefore cooler temperature) areas such as Mendoza provide some punchy acidity giving wines of real character. Argentina produces medium to full-bodied, fruit forward Malbecs and it’s all about the dark berry fruit – think black cherry, blackberry and blueberry (try Waqi Malbec). These fruity flavours are typically complimented by secondary aromas of chocolate and mocha. Oak ageing gives delicious vanilla, sweet tobacco and sometimes coconut notes. The French style is somewhat more austere due to higher levels of tannin and acidity, which gives a more textured experience, although many producers are now emulating the smoother, fruitier new world style, following the rise in popularity of Argentinian Malbec. Try Rue des Amis Malbec for a super-soft glass. 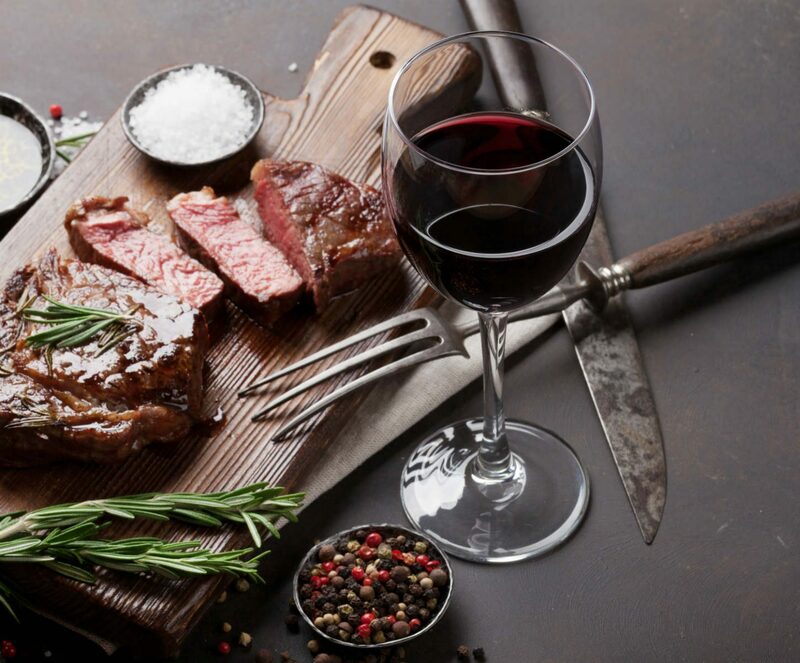 Most people think of Steak when pondering what to eat with their Malbec, and don’t get us wrong, a tender sirloin is works well particularly if the wine has been oak-aged and there’s nothing we love more than a great steak & Malbec deal…but it’s not the be all and end of when it comes to a dreamy dining experience. Then you should definitely give Douro reds from Portugal a go! These intensely fruity wines are full of dark berry flavours like those found in Ports (same region, same grape varieties). Why not try the fabulous Vega to get you started?